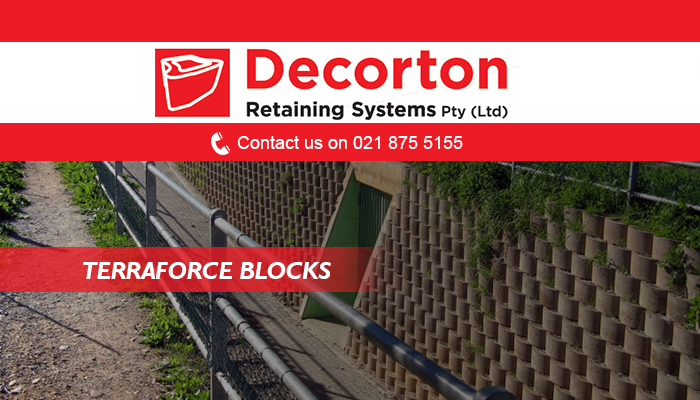 If you are seeking an expert to take care of your retaining wall requirements, Decorton is a highly recommended option! 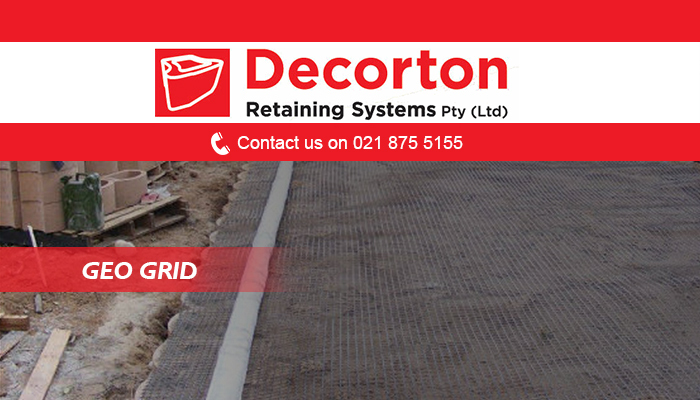 We have been in operation since 1992 and are known for our superior designs and effective retaining solutions. No matter the terrain, we aim to find a suitable solution. 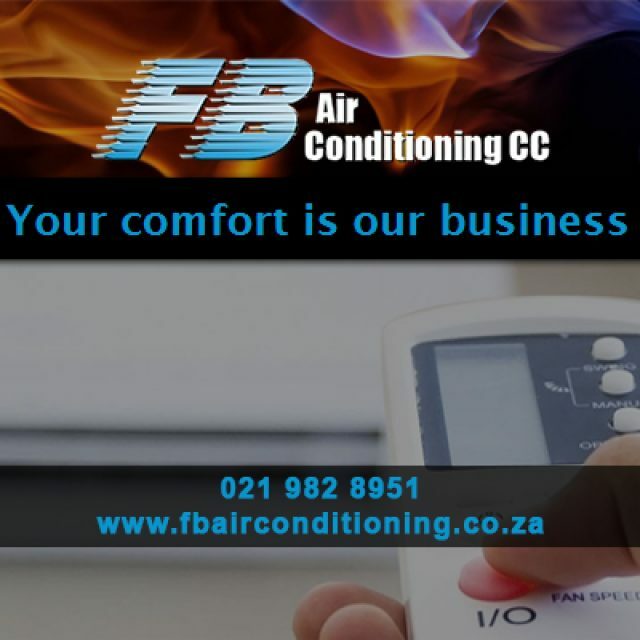 Our services are offered to all domestic and industrial clients across the Cape and we pay personal attention to each of our client’s needs. 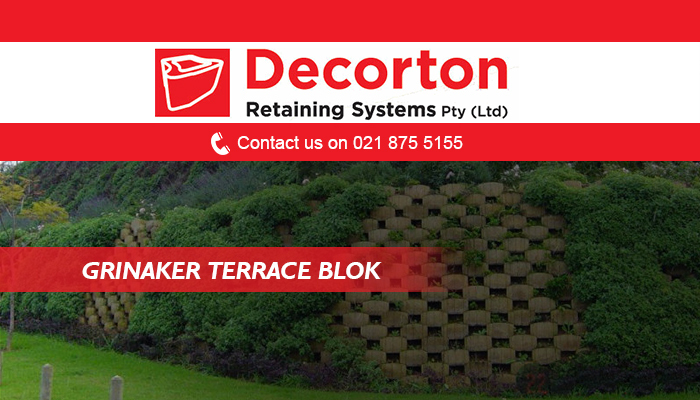 Our expertise includes canal lining, embankments, staircases, landscaping designs, and so much more. We make sure to use only the best possible products for our installation, thereby ensuring both a beautiful and lasting result. By following the exact health and safety regulations required for retaining purposes, clients can have confidence that our team will deliver nothing but the best. 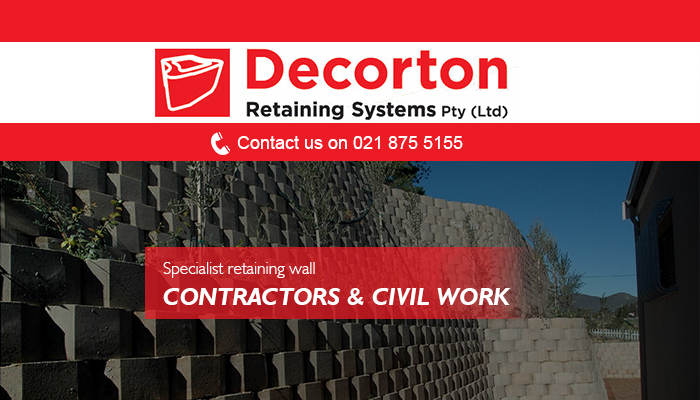 We specialise in an extensive range of retaining wall designs and installations at Decorton. 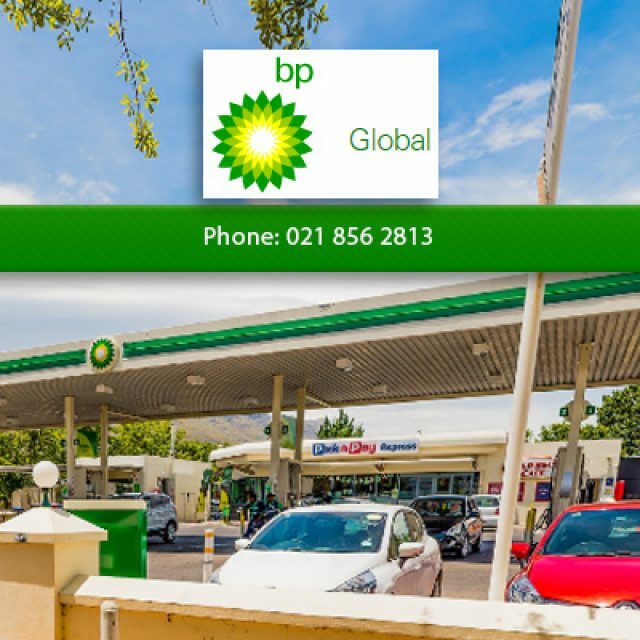 Our aim is to meet all our clients’ requirements, no matter the terrain where it is required. The team has years’ experience and great technical expertise, enabling us to deliver superior results time and again. 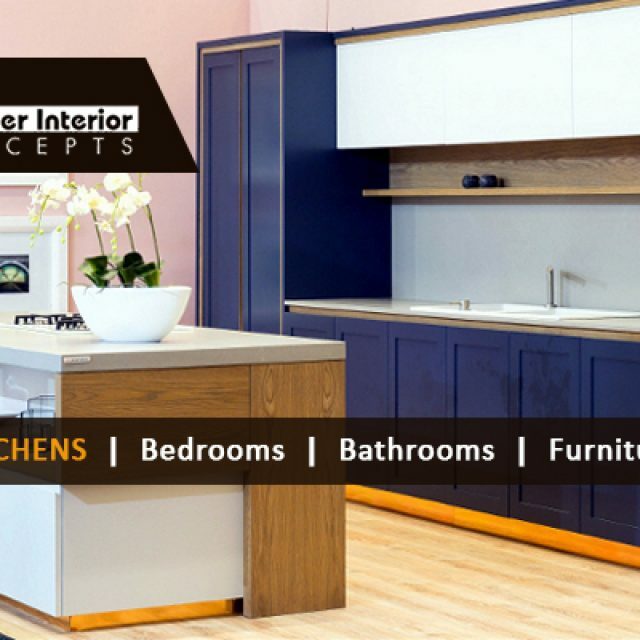 Whether you are a domestic or industrial clients, our services are suited to your needs. 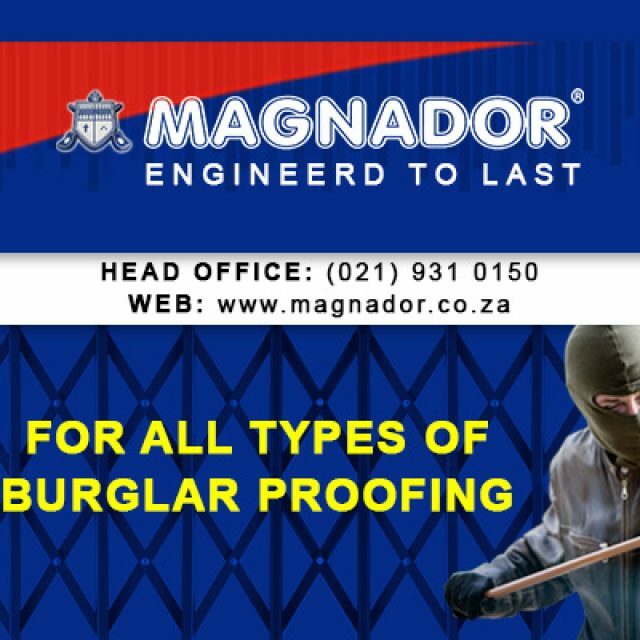 By making sure that we follow precise methods and safety precautions, we are able to ensure that all our installations are complete on time and leaves a lasting impression. 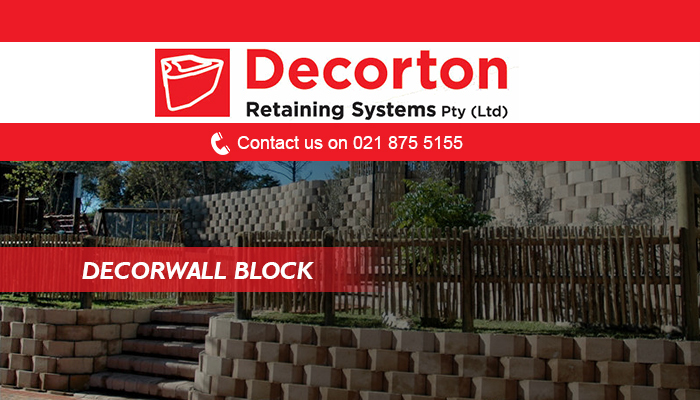 Our installations are eco-friendly and adaptable – a lot of our clients create beautiful flower gardens within the cavities offered by our retaining blocks. 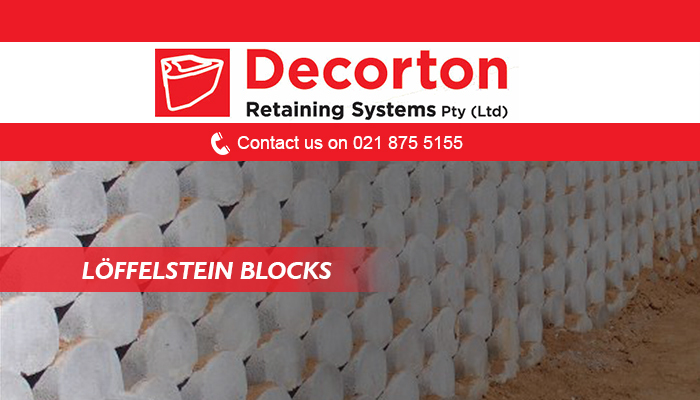 If you would like to discuss your retaining needs with our professional team, you are more than welcome to contact us either via phone or email.